Alexandra believes that change begins through one’s thoughtful civic engagement. Born and raised in Long Beach, Alex has always believed that giving back to the community to make a difference and foster change is such a gift, and is the responsibility of those who are able. She credits her life experiences and insights to her mentors and the women in her life who have provided such positive guidance – many of whom are lifelong Junior League members. 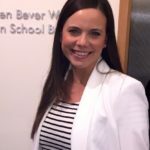 Her leadership engagement in Junior League of Long Beach the past eight years continues to be her opportunity to pay it forward. Junior League of Long Beach’s mission to develop the potential of women, especially resonates with Alex. She joined Junior League in 2011 and has credited her personal and professional development over these past years to league trainings, its membership and community programs. Alex believes that the bonds formed and opportunities presented through membership of the Junior League, an all-women’s organization in over 290 communities, are unique and vital especially considering our societal landscape. The self-esteem program Especially Me! is what lured her to join. Alex is open in sharing that she wished she would have had a group hosting programs like those of Junior League to build her self-esteem when she was a girl. Alex wholeheartedly believes that the Junior League of Long Beach is an extraordinary opportunity for growth and fulfillment in the community and in one’s self. Professionally, Alex is the Senior Manager of Strategic Partnerships for the Pancreatic Cancer Action Network. She leads all biopharmaceutical and industry relationships across the nation to support cancer patients, improve patient outcomes, and increase visibility and awareness of the disease through leveraging partnerships and fundraising. Alex earned her B.A. in Psychology from Southern Methodist University, in Dallas, T.X. In addition to her Junior League engagement, she currently serves on the Todd Cancer Institute at Long Beach Memorial Medical Center advisory board, and is a board member of the Volunteer Center, South Bay-Harbor-Long Beach, a local nonprofit which is a past Junior League of Long Beach project from the 1960s. Alex cherishes her limited down-time, and enjoys concerts, travel, boating and being in good company.